The Catalan Audiovisual Council (CAC) has published a report on the News coverage of the attacks in Barcelona and Cambrils. This publication analyses how these terrorist attacks that took place in Barcelona and Cambrils on 17 and 18 August 2017 were covered by seven television channels (TV3, 3/24, 8tv, La1, Canal 24H, Antena 3 TV and Telecinco) and three radio stations (Catalunya Ràdio, Catalunya Informació and RAC1). In addition, the report also looks at audiovisual content about the attacks found on the internet, specifically on video-sharing platforms. The first section of the report examines how the events were reported in the first 24 hours: the information sources used; communicating messages of public interest; respect for the presumption of innocence of people involved in the attacks; providing the contextual information by involving experts and the terms used to describe the attacks, and using audiovisual resources for sensational effects. The second section deals with victims' privacy and image rights: the right to personal image and privacy of the victims of the attacks and the presence of minors. Lastly, the report also looks at the audiovisual content about the attacks on internet video-sharing platforms. 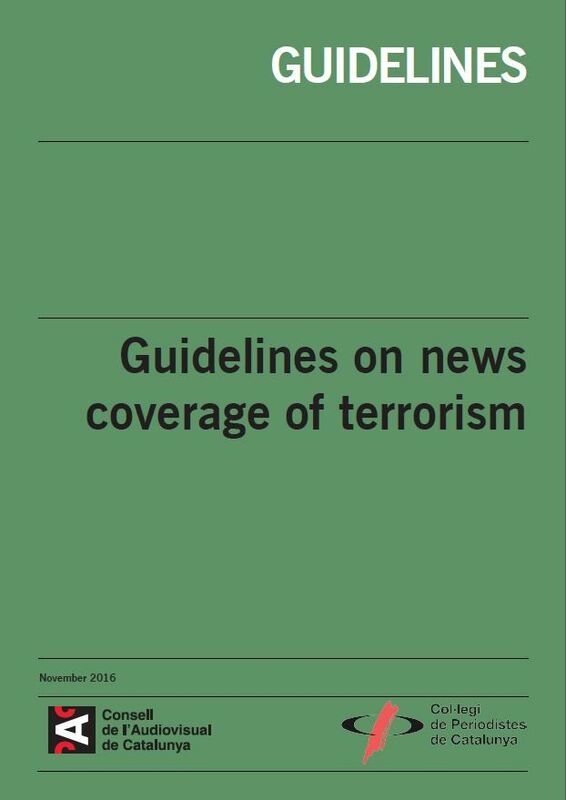 In November 2016, the CAC has also issued its Guidelines on the news coverage of terrorism aimed at media professionals who have editorial responsibility for the content they broadcast, notwithstanding the type of technology they use for broadcasting. The publication includes recommendations on the media coverage concerning the terrorists, the victims, the audience, the journalists and the authorities. The media coverage of crises is an issue which featured on EPRA's agenda in 2016 with a Working Group on Media inTimes of Crisis. A noteworthy deliverable of the group was a comparative document on the role of regulatory authorities in times of crisis.